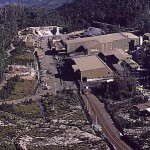 NQ Minerals has completed commissioning of its processing plant at the Hellyer gold mine in Tasmania, signalling a start to commercial production. The company produced 3991 tonnes of lead, 1537 tonnes of zinc and 4291 tonnes of pyrite and precious metals concentrate in the fourth quarter, generating £3.2 million ($5.7 million) in sales. NQ announced that sales were occurring for all three concentrates on a weekly basis. 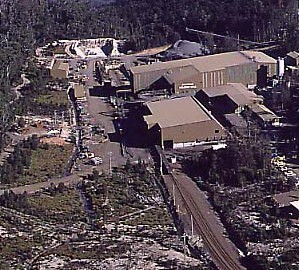 The Hellyer mine, which ceased full-scale production in 2000, came under the ownership of London-listed NQ following the company’s acquisition of Keen Pacific in 2017. Hellyer was previously owned by Bass Metals until 2012, which mined at the site’s Fossey deposit. NQ is focused on the site’s significant tailings deposit, estimated to contain a total of around 11.3 million tonnes of concentrate material worth $US1 billion ($1.4 billion). The site hosts a JORC-complaint resource of 9.5 million tonnes at an average of 2.61 grams of gold per tonne (796,000 ounces), 104 grams of silver a tonne (32 million ounces), as well as significant lead and zinc quantities. Brian Stockbridge, NQ Minerals chairman, stated that the company held “substantial potential to unlock shareholder value” now that it had become a producer. 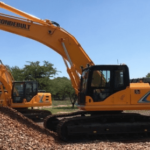 “Having completed the acquisition and refurbishment of Hellyer over the prior two years, the culmination of management’s efforts will make 2019 a transformational year for the company,” he said. 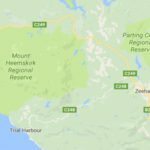 NQ’s revival of Hellyer is the latest example of a Tasmanian mining resurgence in the past two years.